Technically, the events that take place in Galaxy’s Edge are considered canon. At least the characters and stories from the rides are. The whole point of the merchandising in Batuu is that you can buy things you would buy on Batuu, not on Earth. Does that make the merchandise canon too? That would be really stretching it. Coke probably didn’t exist a long time ago in a galaxy far far away, but that does not stop me from seriously admiring the design of those coke bottles and the level of detail going into Star Wars Land. 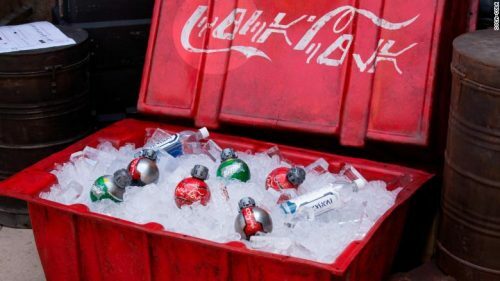 Check out the original article on CNN Business for a video about the 50-year partnership between Disneyland and Coca-Cola, and how these in-universe bottles came to be.